While traveling the Main Artery of the East Coast of the United States (I-95), you should make Prince William County one of the stops along the way. With more than 4,000 hotel rooms, we have a place for you to rest your head - while seeing some of the most iconic sites this side of the Mississippi. Learn about our heritage by touring our historic sites and towns, shop ‘til you drop at our destination shopping centers or in the Historic Town of Occoquan, indulge your palate with fine dining and at our breweries/wineries/distilleries or explore the many outdoor adventures offered here. As you enter I-95 from the South, you will see the zenith of the National Museum of the Marine Corps peaking over the trees as you enter I-95. Take the day and honor the service of the United States Marine Corps by learning its history from inception to the present day. 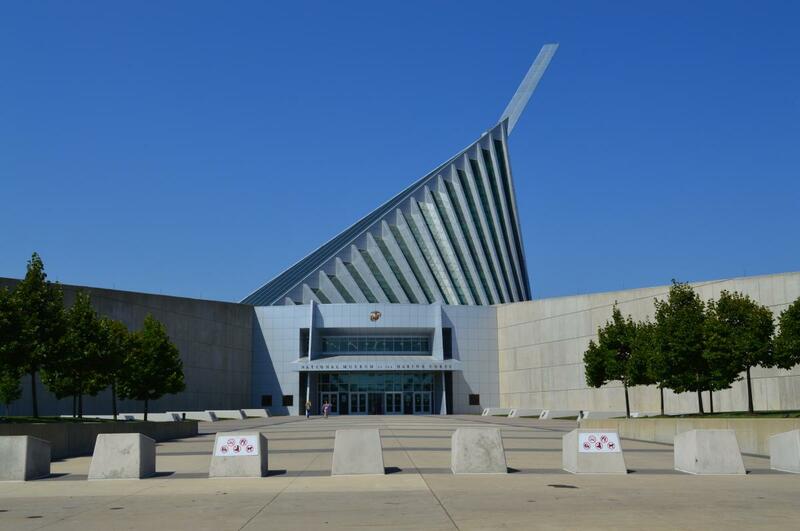 The iconic building modeled after Iwo Jima is immersive and kid friendly with events like World War Wednesday. At this facility, you can engage both your senses and interests: focus your visit on a specific Marine engagement or the history of aircrafts and weaponry. Closed federal holidays except for Memorial Day and Veterans Day. End your afternoon by honoring our Veterans at Quantico National Cemetery located three miles from the National Museum of the Marine Corps.This hallowed resting place is reminiscent of Arlington National Cemetery with one huge difference; Quantico participates in the Missing in America Project (MIAP) which locates, identifies and inters American veterans’ unclaimed remains. 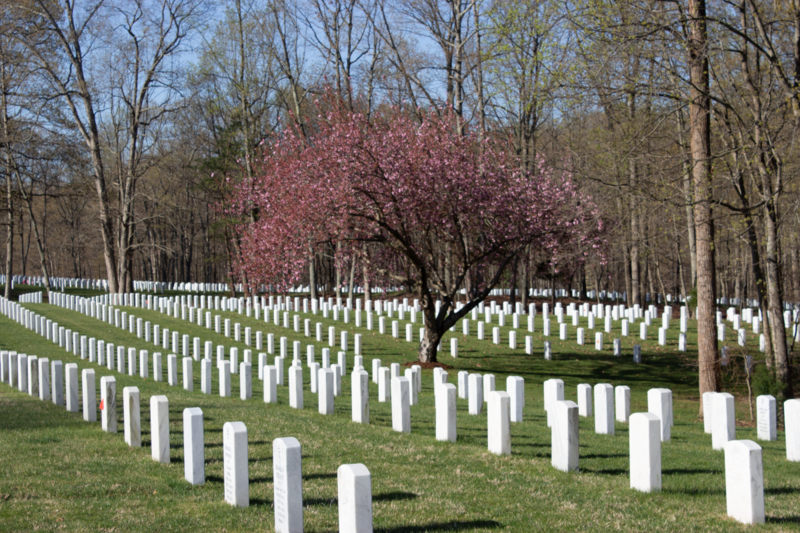 The Quantico National Cemetery includes a section for Missing in Action (MIA) veterans and after MIAP verifies deceased veterans they schedule memorial services for both veterans and their dependents. This is a perfect way to spend a hot or rainy day. 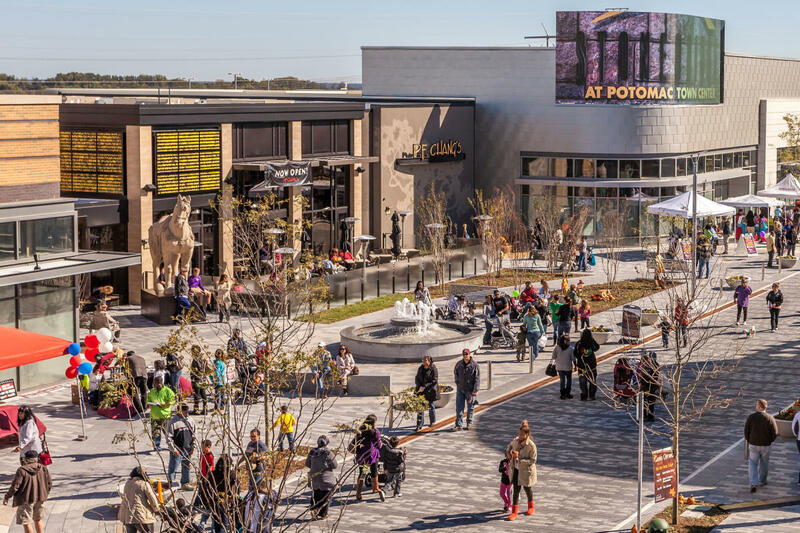 Start indoors at Potomac Mills, Virginia’s largest outlet mall, featuring 225 stores, big fashion names such as Bloomingdale&apos;s Outlet, Nordstrom Rack, Off Saks and Neiman Marcus Last Call and other shops & services. 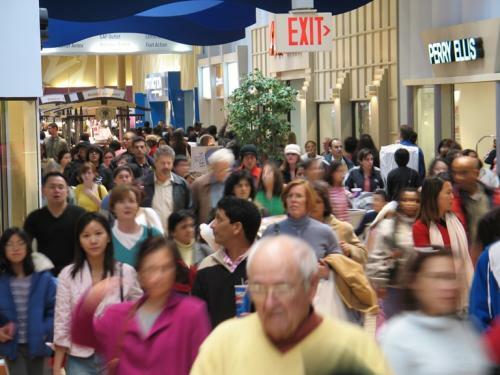 Here you can literally shop &apos;til you drop, take a break for lunch or dinner at Bobby’s Burgers Palace, Bahama Breeze, The Cheesecake Factory, Matchbox or one of the many surrounding restaurants. IKEA, one of only 2 in the Washington, DC Metro Region, is located parallel to Potomac Mills and is sure to send you on your way with a collection of home accessories. The outdoor town center which offers premium dining, Brew Republic Bierwerks, Duck Donuts, Wegmans, Apple, REI and various clothing stores. Also, if you are visiting during the summer, Stonebridge offers a concert series and outdoor movie events. Stonebridge is also planned to have a new Muse Paint Bar and Bar Louie in 2017, and a new Alamo Drafthouse Cinemas to open in 2018. Open: 6 a.m. to a half-hour after sunset Monday through Friday. 5 a.m. to a half-hour after sunset on Saturday and Sunday. Craving outdoor adventures? 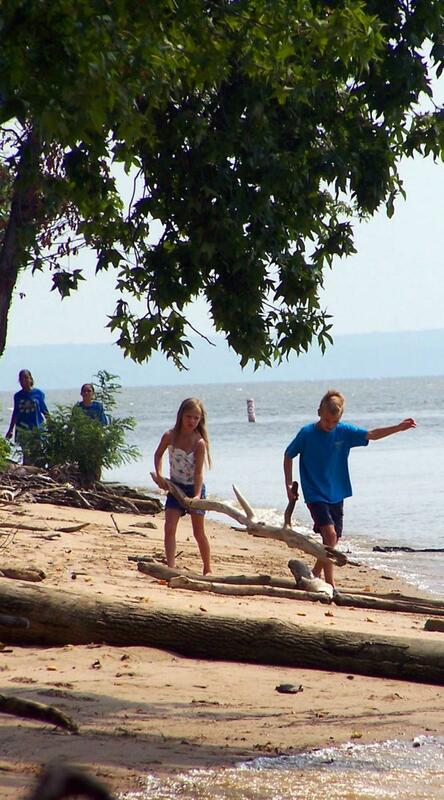 Visit Leesylvania State Park, named one of the most beautiful state parks. This hidden coastal haven sits along the Potomac River and boasts a small beach, hiking trails, fishing, picnicking, kayaking and a boat launch. Romantics can be two places at once by walking on the pier that is on the Virginia/Maryland border. On Sundays, take a lunch or dinner ferry to Tim’s Rivershore. Entrance fee per vehicle is $7. Entrance fee for bike in/walk in is $5. Visitor Center: March 1 to October 31 - Everyday 9:00 a.m. to 5:00 p.m. and November 1 to February 28 - Everyday 8:00 a.m. to 4 p.m. This National Park is definitely the hidden gem of Virginia! 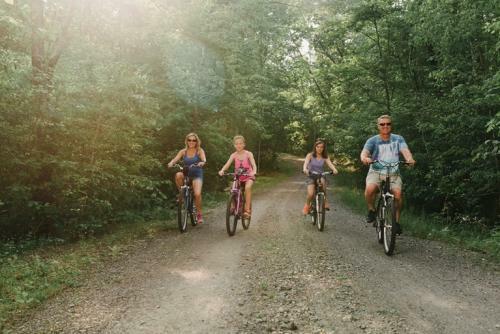 There are multiple campgrounds and 20+ miles of hiking and biking trails. Or explore the history of the area, from 1936 tales of the Cabin Branch Pyrite Mine, Civilian Conservation Corps and its development and use by the Office of Strategic Services (OSS) during WWII. The site is a former military base and now a wildlife refuge with a four mile hiking trail. This is the perfect place for bird watching and spotting otter. The park can be explored on foot or by vehicle (in certain areas). Spend a night at the ball game! 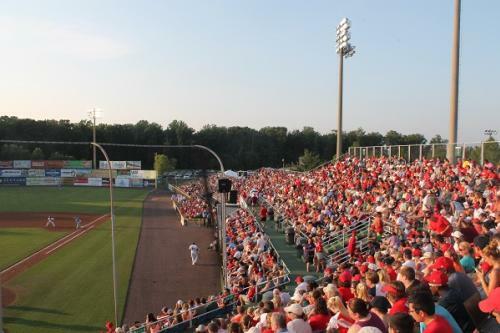 Pfitzner Stadium is the home of the Potomac Nationals. Come out for specials like Dollar Monday, Deuces Wild Tuesday, Winning Wednesday, Bark in the Park and Kids Day Sunday. Stay and enjoy the end of game Firework displays. For those of you who long for Southern Charm and Victorian architecture, visit Historic Occoquan. This 250 year-old riverside town is filled with artisan shops, antiques and art galleries. Learn to paint waterside, shop, visit the local chocolatier or bakeries, enjoy a wine tasting with a Sommelier, go kayaking, fishing, bird watching, walk your dog at River Mill Park or catch them all with Pokemon GO. And make sure to end your visit at the Mill House Museum filled with relics from the town’s storied history. Don&apos;t forget to stop in for assistance at the Prince William County Visitor Center, located at 200 Mill Street (in the little blue house). House Tours: $5 for adults, free for children under six, $3 for active military. 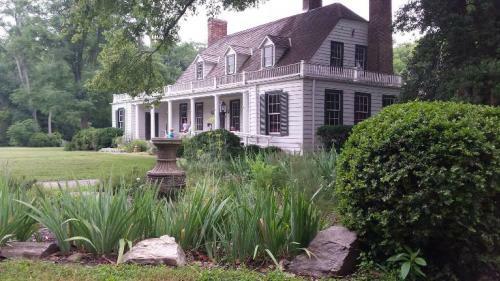 This hidden treasure is the oldest house in Prince William County and recalls the history and growth of the area through the eyes of the Admiral Blackburn. This former tobacco plantation is along the Washington Rochambeau Revolutionary Route. It has an apple orchard, wooded trail, and an overlook of Neabsco Creek. This list is only the beginning of an experience in Prince William County. Before your visit, explore our event calendar, or explore our website or call 1-800-432-1792 for assistance. Please use #DiscoverPWM in your social media posts so we may listen and improve upon our visitor experiences.